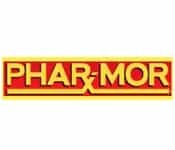 Phar-Mor was a United States chain of discount drug stores, based in Youngstown, Ohio, and founded by Michael I. Monus (usually called Mickey Monus) and David S. Shapira in 1982. Some of its stores used the names Pharmhouse and Rx Place (purchased in the mid-1990s from the F.W. Woolworth Company).